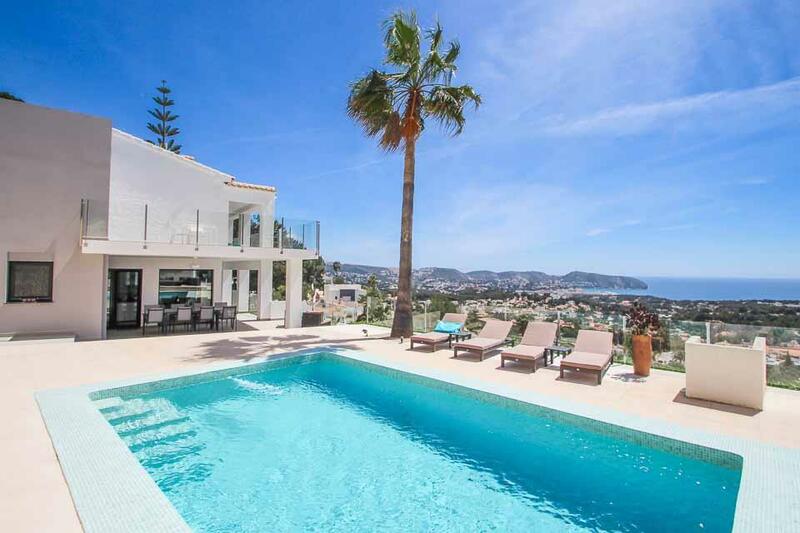 A high quality modern detached villa conveniently located close to beach, shops and restaurants. This superb modern detached villa is conveniently located in a quiet residential area just a few minutes walk from shops and restaurants. The centre of Moriara and its safe sandy beach and fine sea front restaurants is just 1.9km away. Very clean Villa. Lots of terraces. Large pool. Close to restaurants and supermarkets. 25 minute walk to centre of resort . Very clean Villa. Lots of terraces. Large pool. Close to restaurants and supermarkets. 25 min walk to center of resort. Lovely, clean, spacious villa close to local amenities. Only a 5 minute walk to shops/bars/restaurants and a small rocky beach and a 25 minute walk in to Moraira town which is stunning. Pool was fantastic and was cleaned during our stay. Villa has electric shutters on all windows which makes you feel secure and keeps the sunlight out early in the morning if you have little ones who like to get up early! Also comes with wifi which was great for us. We have stayed in a few villas before but this is the best yet. Also I had a few queries about key pick up before we went and the staff at Solmar Villas were fantastic. Nothing was too much of a problem. Thank you! Excellent - Lovely, clean, spacious villa close to local amenities. Only a 5 minute walk to shops/bars/restaurants and a small rocky beach and a 25 minute walk in to Moraira town which is stunning. Pool was fantastic and was cleaned during our stay. Villa has electric shutters on all windows which makes you feel secure and keeps the sunlight out early in the morning if you have little ones who like to get up early! Also comes with wifi which was great for us. We have stayed in a few villas before but this is the best yet. Also I had a few queries about key pick up before we went and the staff at Solmar Villas were fantastic. Nothing was too much of a problem. Thank you! 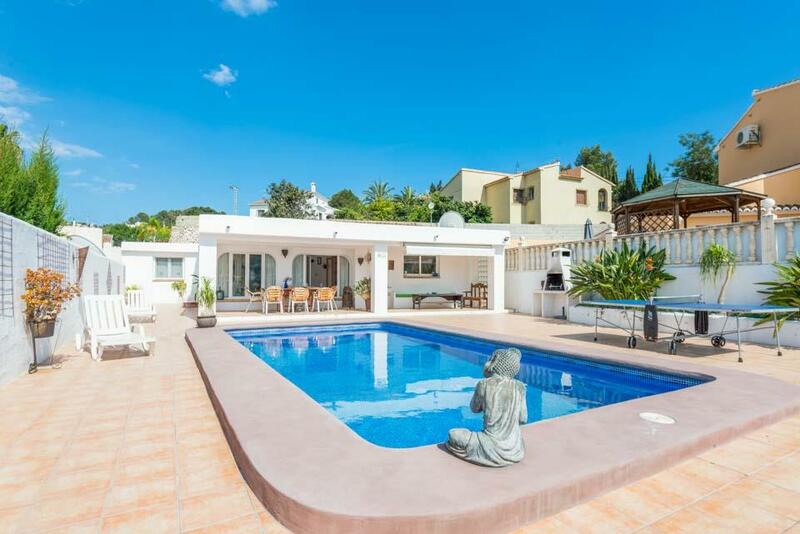 **Save up to 25% by arriving and departing on the standard changeover day**Villa Fresno is settled in a quiet and peaceful location and within walking distance of a selection of restaurants, bars and shops and the charming resort of Moraira can be reached..